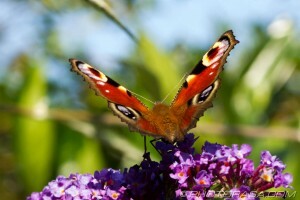 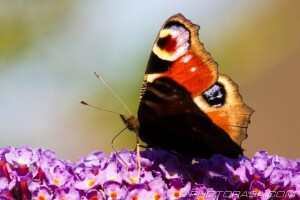 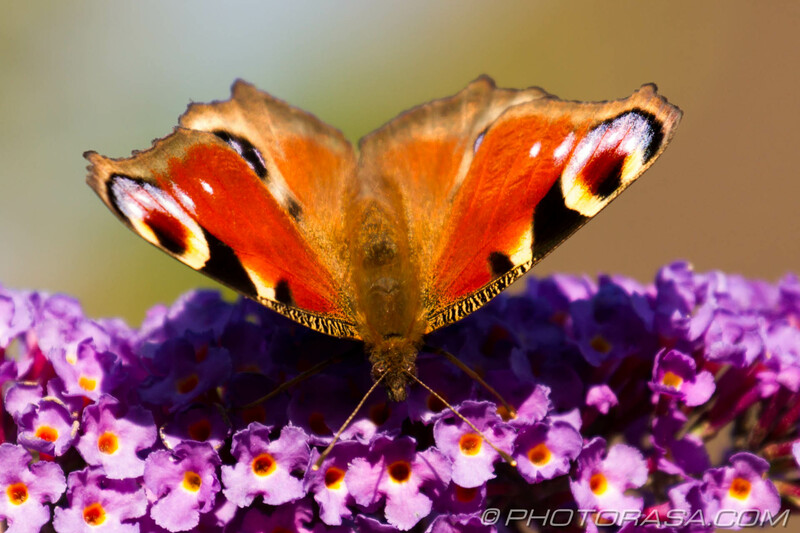 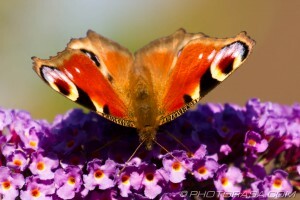 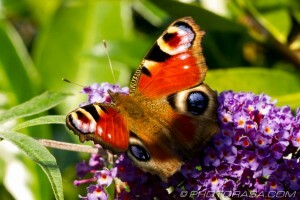 A selection of images showing the Peacock Butterfly. 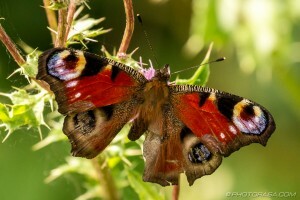 This is the European Peacock of the genus Aglias Io as opposed to the “American Peacock” from the genus Anartia. 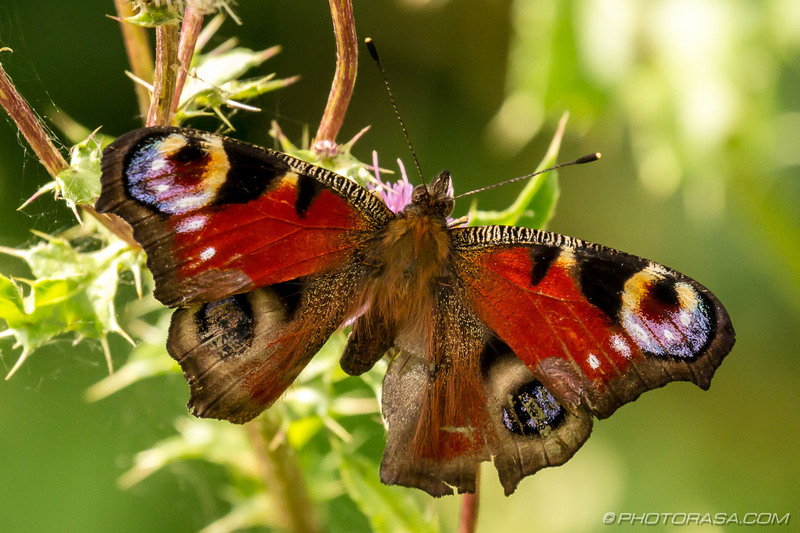 The peacock butterfly is well known for the colourful eye-like pattern on its upper wings. This is used as defence mechanism against would be predators such as birds. 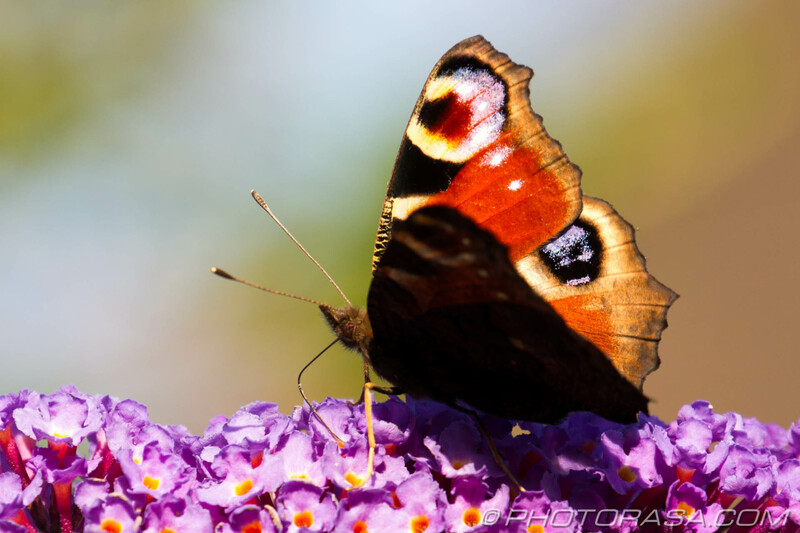 If a predator is approaching the butterfly will expose its eye spots in a threatening manner, confusing the predator into thinking it is approaching a much bigger prey and, hopefully, scaring them away. 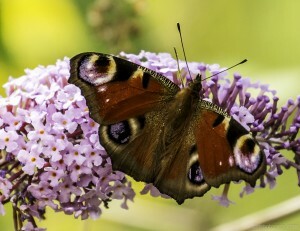 The peacock also has another camourflage defence mechanism common to many butterflies – when in foliage it can close its wings and in the process obscure its bright upper markings and reveal its dull underside, effectively mimicking a leaf. 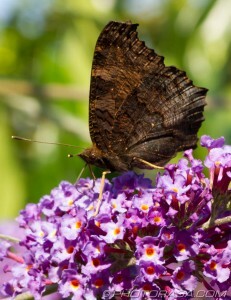 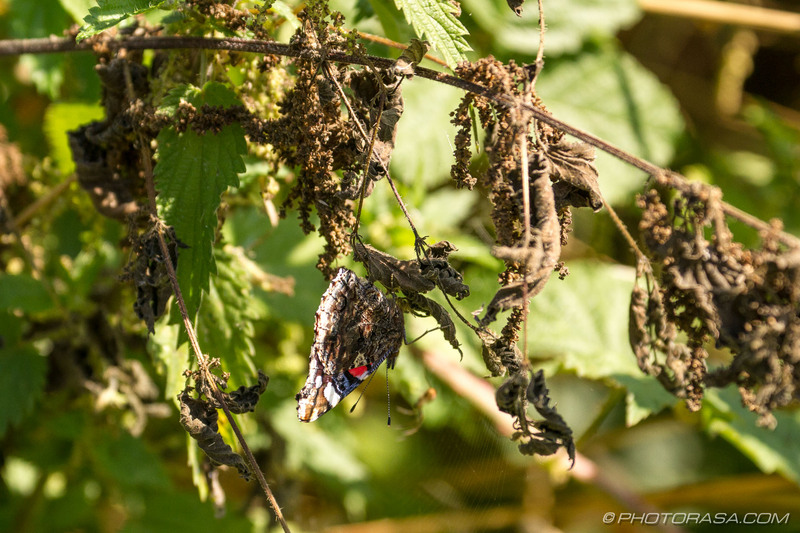 This defence is used when the butterfly is trying to hibernate.